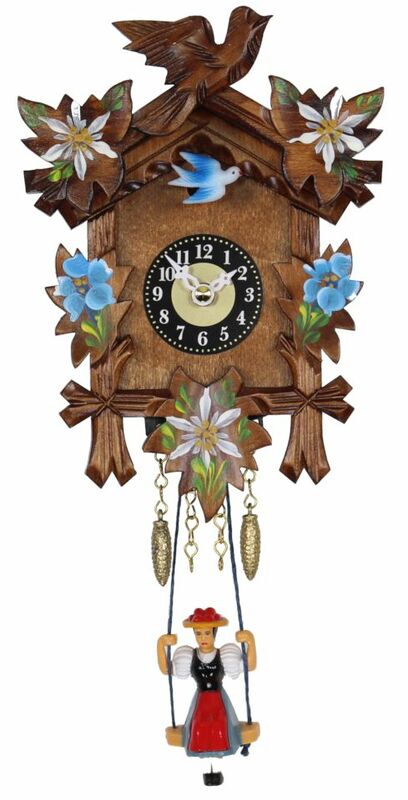 This traditional Black Forest cuckoo clock has hand-painted Gentian and Edelweiss flowers which are typically found in the Alps. The cuckoo calls on the hour and is followed by an echo. Battery operated movment with manual night-off. Switchable Cuckoo Call or Westminster Chime. Diameter 1,5 Inches (4 cm).